Russian cuisine is largely known for stealing from the French tradition and “Russifying” those recipes, but there is even more cross-over with their Nordic neigbors, just like our Scandinavian friends, the Russian’s love herring and open faced sandwiches. Bread and Salt are the symbols of Russian hospitality and friendship. It is traditional to greet special guests with a loaf of fresh bread with a container of salt on top of it. The guest breaks off a small piece of bread, dips it in the salt and eats it. This combination of salty fish on bread is a tasty way to great your guests and make them feel welcome. -Pour the water and vinegar over the bread and let it stand for 10 minutes. Squeeze the bread to remove the excess liquid. -Rinse the herring, pat dry with paper towels, and cut into 1-inch pieces. Place the herring, bread, apple, onion, and egg in a food processor and process until the mixture is smooth but not over pureed. -Transfer the mixture to a bowl and stir in the sour cream, lemon juice and sugar, if desired. Cover and refrigerate for several hours. 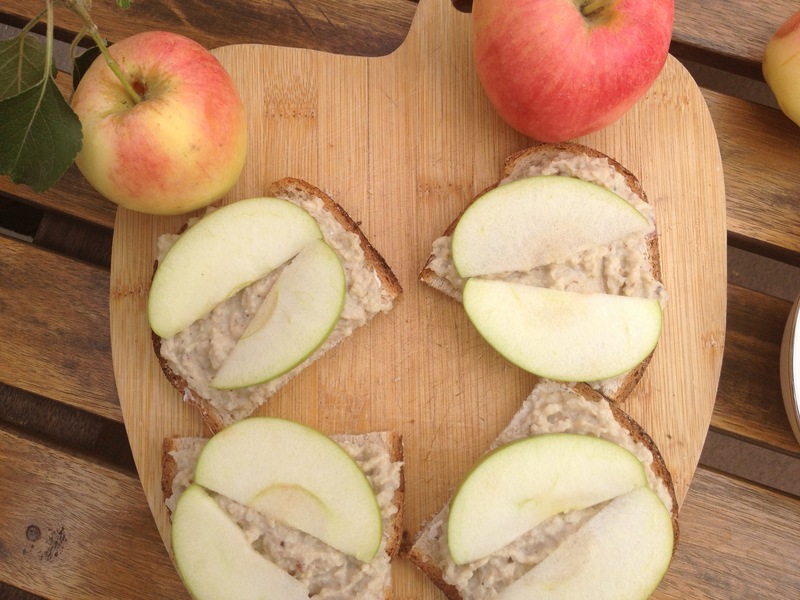 Serve on cocktail squares of buttered rye bread, topped with a slice of apple to balance the salty flavor of the fish.